One word that describes the diving in Vava’u is “MAGIC!” With 61 coral and volcanic islands, Vava’u is quite possibly Tonga’s best kept secret. This pristine archipelago brings together an unparalleled combination of island life steeped in centuries old culture with spectacular marine diversity. The world-class diving is inundated with uncrowded dive sites including wreck-diving, caverns and coral reefs. This location is also one of only a few places you can swim with humpback whales – a must while you are in Tonga. 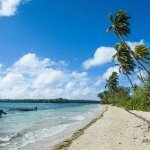 The island group of Vava’u in the north of Tonga where islands rise from the iridescent waters that surround the emerald green islands and their white sandy beaches, boasts diving and fishing at its best. Vava’u is a paradise pure and perfect for those interested in diving, snorkelling, fishing and whale watching. The waters are crystal clear with the visibility being as good as it gets in the Pacific, averaging 30 metres plus. The water temperature is warm all year round with an average temperature of 25°C in winter. A big plus for diving Vava’u is the incredible variety of diving to be found around one small group of magnificent islands. Vava’u diving offers hard corals that truly are untouched, soft coral gardens with a rainbow of colours. Vava’u has numerous safe, interesting and unique cavern dives with spectacular underwater archways, tunnels, large black coral trees and wall dives that vanish into the inky blue. There is little in the way of currents and most dives are leisurely swim throughs. For wreck dive enthusiasts the 122 metre wreck of the Clan McWilliam that sank over 50 years ago, sits upright and still intact. Then there’s the Humpback Whales, a treat everyone should experience, both above and below the surface. There are over 50 islands in the Vava’u group, so you can imagine all the wonderful dive sites that are still being discovered and explored. 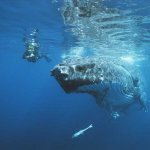 Humpback Whales: Between July and October, humpback whales migrate to the warm tropical waters around Tonga’s Vava’u islands. This is one of the few places in the world where you can get up close and, when the conditions are right, swim with these majestic creatures. A truly a unique experience and one never forgotten! The Clan McWilliam Wreck: This virtually intact 140m steel freighter sunk in the Vava’u harbour in 1927. Now she is home to a variety of small schooling fish and a resting place for a number of different hard and soft corals. This 30m dive will take you back to the time of the Titanic, where you can stand on a deck which has not seen the green hills of Vava’u for over 85 years! Tu’ungasika: This small cliff-bound island is truly a diver’s dream with three different dives amongst its depths. Coral gardens with drop-offs of 30-40 metres patrolled by small tuna and mackerel, a number of large caverns and white tip reef sharks, and a wall of golden sea fans guarded by a reef that is crowned by multiple clownfish. A photographer’s paradise! A well-known local attraction is Swallow’s Cave, but not many visitors get to see the top and bottom. Diving starts outside with a wall dive, following bream and watching tuna as they go screaming by chasing the baitfish. If you are into nudibranches, a number of different types hang out along the walls. Take a side tunnel into the actual cavern, where the tones of light and colour take on new meanings. A torch is a must to explore the deeper recesses! Further south amongst the group of islands lies this uninhabited tropical isle. The dive starts from the beach and circles a nearby reef where the corals keep changing from hard to soft and back again – all the colours of the rainbow! You will be spoilt for choice with the display of reef fish, as most varieties are found here. This is another popular dive. It is a huge cave with many chambers yet with the entrance visible from most chambers. Within some chambers you can ascend 12 metres (40ft) up a 1.5 metre (5ft) wide tunnel, surfacing into a very large, totally enclosed fresh air pocket. Just outside the cave is a spectacular and lush sea fan garden where the fans all measure 1.5 – 2 metres across. Just beyond this “garden” lies a perpendicular drop-off with many fish and beautiful soft corals. Start this dive among numerous large and flourishing sea anemones teeming with the beautifully bright coloured and playful clown-fish. Continue on to a hard coral garden featuring individual corals measuring up to 3.5 metres (12ft) across, and an amazing display of colourful reef fish. A short trip out through the beautiful Vava’u Islands to the playground of the Humpback Whales during their calving season (late July to mid October) brings you to Hunga Magic, an undulating landscape dotted with gardens of leather corals, pastels of yellow browns, blues and greens. Strange little pimples of coral rock are underlined with carnation corals of vivid crimson. Green seafans transform into brilliant red under your torchlight! You can dive all year round in Vava’u. The tropical paradise offers warm waters where diving visibility of 30 plus metres is common and up to 70m in winter. 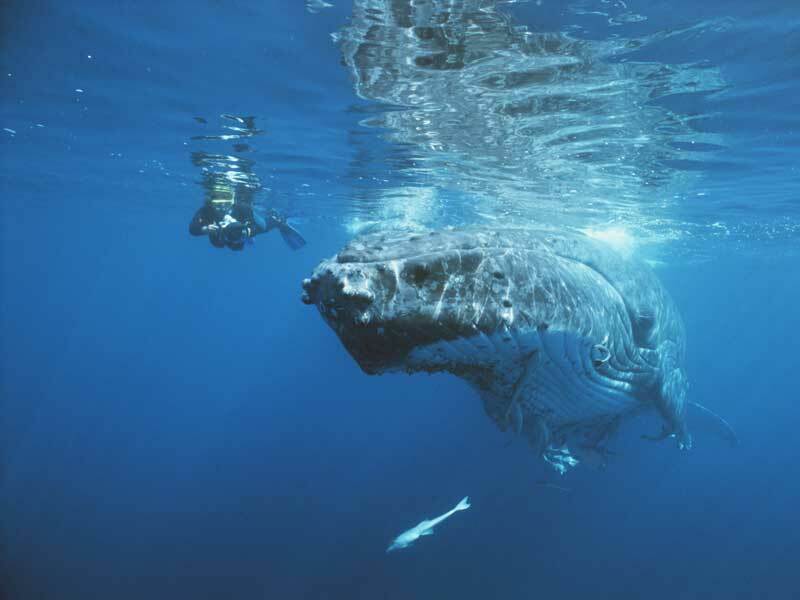 If swimming with humpback whales is included on your “to-do” list, then time your trip between July and October. Vava’u is the northern most group of islands in Tonga. 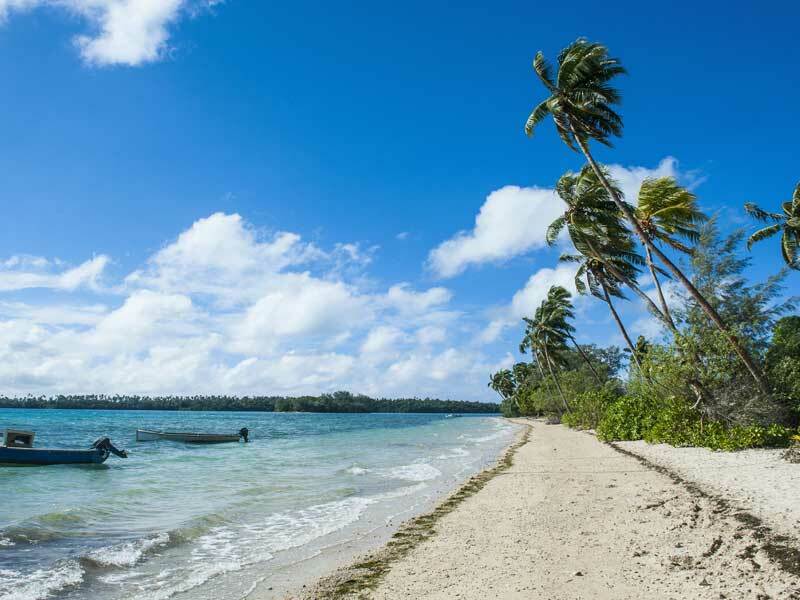 Fly into Fua’amota International Airport, Tonga and catch a connecting flight to Vava’u. We can arrange a taxi/shuttle/boat transfer to the resort. Vava’u offers a variety of accommodation from hotel rooms to resorts with spacious bungalows in tropical garden and beachfront settings. All accommodation has a full range of rooms and services.